The Pennypack Trust is proud to be part of the Delaware River Watershed Initiative, an effort to protect and restore the Delaware River watershed led by the William Penn Foundation. 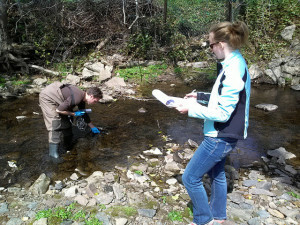 Working with our partner watershed organizations in the Philadelphia suburbs, our citizen scientists — or Streamkeepers — conduct water quality monitoring efforts at numerous sites throughout the Penneypack watershed. 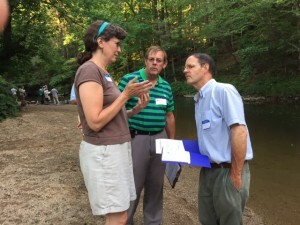 The primary goal of this monitoring is to measure the impact of stream restoration projects that are underway in the watershed. The Academy of Natural Sciences of Drexel University leads this effort with the help of Temple University and the Villanova University. 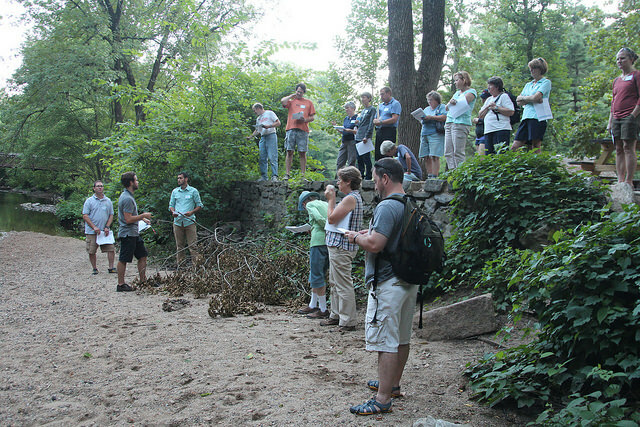 Each month, our team of committed citizen scientists — our Streamkeepers — gather valuable data throughout the watershed. The Streamkeepers are the eyes and ears of the creek, venturing out to take photos and complete monitoring forms. With dozens of miles of streams in the suburban part of the Pennypack watershed, this monitoring would be impossible without our Streamkeepers commitment. Our Streamkeepers care about the creek! Click Here to fill out the Streamkeeper Form.